^-^ CONGRATULATION ! ! ! the BABY is very very very very cute and he looks like his mother ! the baby is so cute!!!! The baby is so cute congratulation for Kate and William !!! He is too cute like his brother and his sister and too beautiful !!! It’s so cool !!!!! 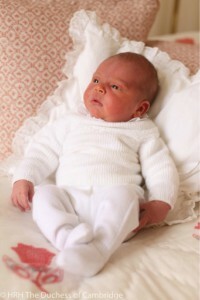 And prince Louis is so cute!!!!! It is so cute the baby !!! it’s amazing ! he is so cute ! congratulations for Kate and William !!!!!!!!!!!!!!!!!!!!!!!!!!!!!!!!!!!!!!!!! It’s amazing !! He’s cute ! He will be an excellent prince. Me if you want . My name is Claudia! I’m fine thanks …And you? Louis it’s french, no ? AWWWWWW! babes are sooo cute at that age!